Earlier in 2018, The Conference Board of Canada published the latest in their Canada 2030 series, titled The Defining Forces Disrupting Business. 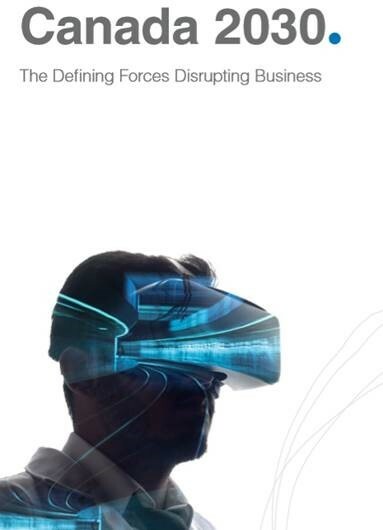 Written with an eye towards helping Canadian businesses and investors understand the disrupting forces likely to affect organizations over the next decade, Canada 2030: The Defining Forces Disrupting Business report encourages readers to address the risks associated with the disruptions ahead and capitalize on the opportunities they may bring. Ten overarching trends are explored in detail, using findings from government institutions, independent think-tanks, non-profits, consulting firms, academic institutions, and other professional organizations. The ten trends (chapters 2 to 11) include demographic shifts; urbanization; Indigenous reconciliation; climate change; natural capital constraints; technological advances; economic uncertainty; public policy; changing values and expectations; and health and diet.